If you’re a windsurfing fiend or have a serious appreciation for the sport, the annual Hatteras Wave Jam is an Outer Banks event that shouldn’t be missed. The Wave Jam is part of the U.S. East Coast Windsurfing Competition and Tour featuring the top national and international windsurfers. There are all different levels of competition to add variety to the event. Hatteras is one of the premiere windsurfing spots on the East Coast thanks to the wind and water conditions on the barrier islands. This advantageous environment makes Hatteras windsurfing an awesome sport for athletes and spectators alike. 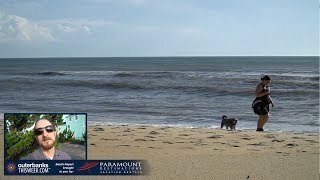 The Outer Banks is proud to host this week-long annual event where you can watch the pros put their talent to the test. For more information or questions, get in touch through the event's Facebook page. Dare County’s longest-running art show has been attracting visitors and artists, new and returning ones, for more than 30 years. Held at the Dare County Arts Council on Roanoke Island in February, this art show of fine art ranging from conceptual to realistic has become a local tradition. You’ll have the chance to display or view work from a variety of different mediums including oils, acrylics, sketches, woodworking, metal, clay and more. There is also the opportunity for artists to win cash prizes for their work with Best in Show, Excellence, Honorable Mention and People’s Choice awards presented. Whether you’re an artist or art appreciator, Frank Stick Memorial Art Show is an Outer Banks event that you won’t want to miss. All night long with purchase of an adult buffet. Mondays and Fridays ONLY.